Departure: 9:00 a.m. from MREA Bus Stop (returning in time for 1:00 p.m. keynote). 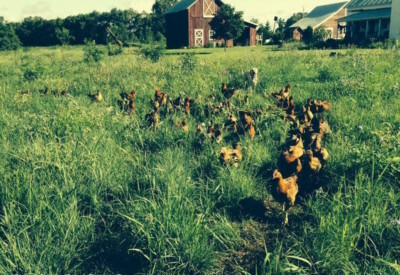 Wooly Thyme Micro Farm is a two-acre farm that specializes in CSA, halal poultry sale, jams and chutneys, and home baked goods. Stay tuned to this website to learn about specific featured locations. Over the past 20+ years, Jen and John Zach have created a treasure trove of edibles on their few acres just outside of Stevens Point. Included in this movement towards a self sufficient life are a large vegetable garden, small fruits, a few trees in the orchard, chickens, a bee hive and mushrooms. Large flower gardens and prairie areas add to the beauty of the land. This tour will include a discussion of eating year round from the garden as well as over wintering crops. Departure: 9:00 a.m. from MREA Bus Stop (returning in time for 12:00 p.m. keynote). 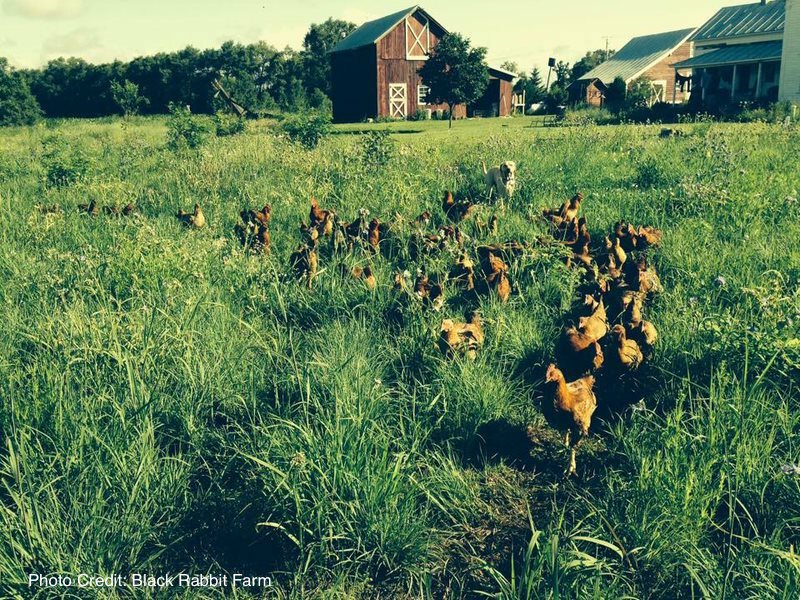 Black Rabbit Farm is a small family farm on the Tomorrow River featuring vegetables, berries, and rabbits, as well as pasture-raised pork, chickens, turkeys, and lamb. Stay tuned to this website to learn about specific featured locations. In our 2100 sq. ft. garden and 100 tree orchard we use mostly organic methods for disease and pest control, no-til beds, and mulch to control weeds. Our young orchard includes cider and eating apple trees, pears, plums, cherries, and 75 grape vines. A root cellar stores produce into the winter. Tickets are available for purchase online or at The Energy Fair Marketplace (if seats are still available). Purchase your ticket today, seating is limited! Early bird and member pricing do not apply to these tours.